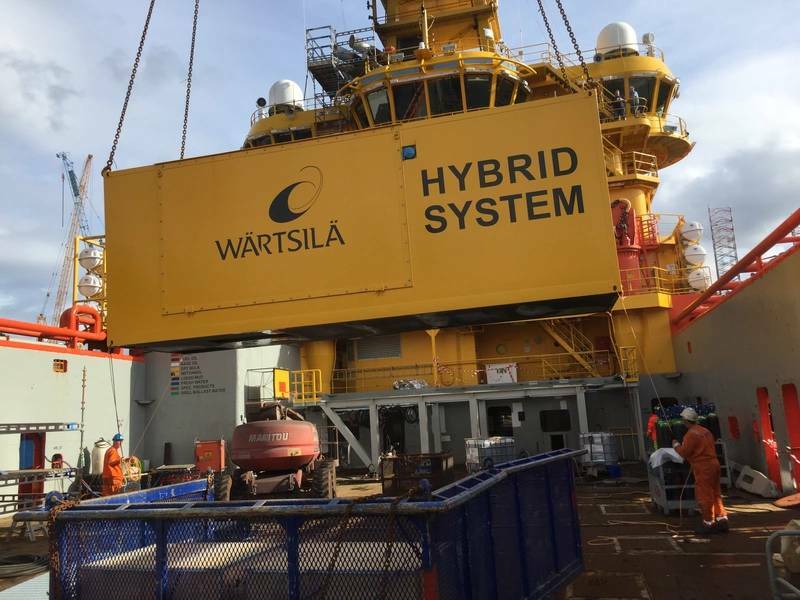 The installation of a Wärtsilä 1450 kW battery hybrid solution will reduce the ship’s exhaust emissions, fuel consumption, and noise level. The overall fuel cost savings are expected to be in the range of 10 to 20 percent. The battery capacity will be sufficient to sail in and out of harbor on electric power, while also providing hotel load electricity when docked, which will reduce noise and pollution levels in the harbor area. Furthermore, the ability to operate on battery power will assist maneuverability during critical dynamic positioning (DP) operations at the offshore platform. Wärtsilä’s hybrid solutions are based on a ‘first-of-its kind’ fully integrated hybrid power module. This combines engines, an energy storage system using batteries, and power electronics optimized to work together through an innovative, Wärtsilä developed energy management system. 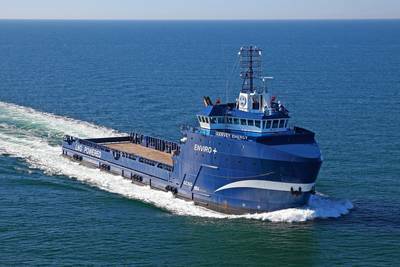 The solution marks a new benchmark in marine hybrid propulsion.